Denny has been a “physical adventurer,” climbing, tumbling & training since conception. He is passionate about maximizing people’s health, empowering clients to perform better, & reach their God-given potential to excel in the game of life! Dr. Kolkebeck has been both an orthopedic sports-medicine physical therapist & strength & conditioning coach for 20 years & wears both roles on his sleeve. He teaches numerous seminars and workshops to colleagues and healthcare professionals focusing on the fascial and musculoskeletal link from the toes to the trunk, multi-plane movements, soft tissue mobilization tools, kinesiology taping & The Five Core Competencies. He works with athletes ranging from marathon runners to triathletes; power-lifters to Olympic weightlifters; cyclists to swimmers; football players to wrestlers; obstacle course racers to America's elite. He enjoys collaborating with coaches and athletes at every level and loves learning something new. While encouraging balance & moderation in life, Denny rarely experiences it himself. He enjoys participating in obstacle course races, scuba diving and barefoot running. He is married to a teacher who constantly corrects his grammar and has two wonderful children who will grow up to be smarter, stronger and wiser than him (not too hard to accomplish). Denny is available for consultations and treatment for any tweaked or painful conditions needing a little physical therapy. He's also available for individual or team coaching; workshops or presentations. Todd believes fitness has a profound impact on all other aspects of life. If we are physically strong, we are healthy and competent. With health and competence, we are able to see measurable progress and gain confidence in ourselves. In this age of over-scheduled lives, exercise is a much needed stress reliever. Coaching enables him to connect with clients in a personal way and to become invested in them and their aspirations. Inspiring people to choose a life of continual improvement, through sustainable fitness and nutrition practices. To be sustainable, fitness must be simple, safe, and fun. Working with athletes to help them prepare for the rigors of practice and competition, so they can avoid injury and achieve their sport-specific goals. As a coach, there is nothing more gratifying than watching the joy of an athlete who is reaching new heights. 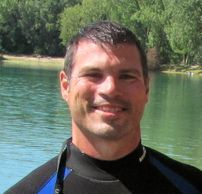 An avid endurance athlete, Todd has completed many races, including four marathons and two obstacle course challenges. But his interests go beyond running. He also enjoys strength training, with a preference for body weight workouts that typically include some form of hanging, climbing, jumping, and being upside-down. Josh has been an avid participant in sports since childhood. As a track & field runner, scheduled weight training sessions in high school led to the formation of an unbreakable bond between himself and resistance training. 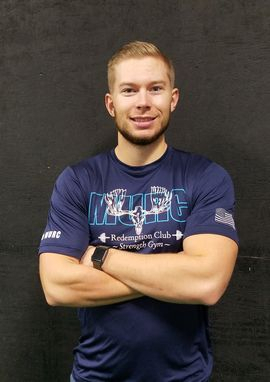 Knowing that his talents are best suited for the fitness field, he continued his education as a Kinesiology major at Northern Illinois University. Josh strongly believes the skills a person learns through fitness, radiate throughout that person’s entire life. Being consistently dedicated, hard-working, and determined to a life filled with fitness displays results on and off the field. Adversity inspires him to make himself and his athletes better. He never shies away from a challenge, and is always looking for efficient ways to implement his fitness knowledge into the people around him. He looks forward to furthering his education and using proven methods to improve performance in his athletes.